However perspective must remain ever present in our minds on the reality of the range wild horses and burros occupy. Over 66% of your public land is open to private profit operations for domestic livestock production. Only about 11% of your public land is open to wild horses and burros. Yet even in the 11% of rangeland wild herds can legally occupy livestock operations have historically been allotted about 80% of all available forage. The equations used to allocate forage for livestock are not based on any scientific evaluation of how livestock utilized a range. If a blade of grass grows on the range it is considered “available” even if it is over 2 miles from water or over a 30% slope in elevation. This reality causes our lowland ranges to literally be pounded to dust by cloven hooves as less than 4% of all beef utilized by industry in the US is produced. Sarge’s lead mare and two year old colt were permanently removed from Fish Creek. For the last 4 years the livestock community has become organized and active in spreading propaganda. 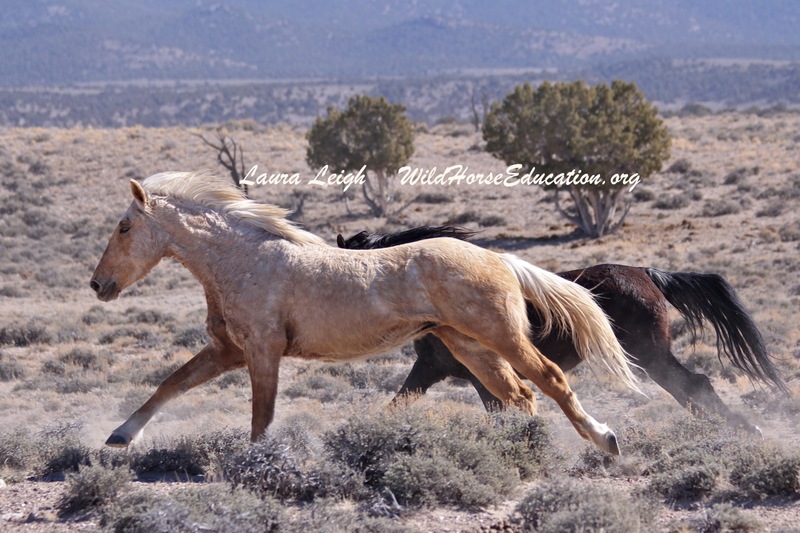 In Nevada public television has already begun to air Rangelands Under Fire again (click link to read about the outrageous allegations against wild horses, including being responsible for the next great famine heading to the US http://wildhorseeducation.org/2014/02/14/rangeland-under-fire-under-fire-editorial/). Protect the Harvest (in association with the pro horse slaughter organization United Horsemen) produced a piece called Horses In Crisis that makes the same false statements apparently to support litigation efforts by the Nevada Association of Counties (NACO) and the Farm Bureau to remove and even destroy wild horses (as many participants overlap these organizations). 5 pregnant mares died at Broken Arrow from complications of foaling. These two older mares were among those that perished. Video edited by WHE. (WHE is in the process of creating multiple educational pieces. A volunteer edited some of our material into a short video, much shot prior to the release of wild horses in Fish Creek. That release only came after a court ruling through the Interior Board of Land Appeals, IBLA. We are editing a post release video that will include statistics that compare livestock use to wild horse use program wide). Video Produced by Protect the Harvest, (this video appears to be a draft trailer for larger feature and is loaded publicly on youtube). The video has the provocative title “Borba Vs BLM” and an emotive soundtrack. (UPDATE: It appears that since we published this piece the video credited to Protect the Harvest, featuring Kevin Borba as a victim, has been removed from youtube by the same man that published “Horses In Crisis” last year, Peter Park. The pulled video featured a recorded telephone conversation between Borba and BLM, Borba making claims of the wild horses driving him out of business and Leigh (by name and images of her) multiple times referenced as an issue. Last year multiple versions of Horses In Crisis were published on both Peter Park’s site and Protect the Harvest. We will republish the “Borba VS BLM” video if it becomes available. The video has been edited to add things like footage of the Virginia Range (not BLM) horses crossing a road, and other irrelevant footage, to the Fish Creek video. When the announcer says “the ranchers land” he is talking about public land the rancher has a permit to use. 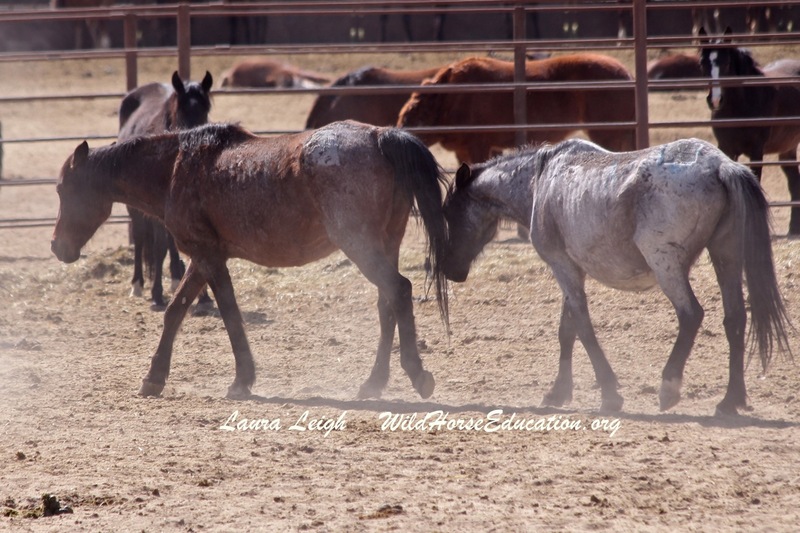 Multiple statements made are pure propaganda… “horses have no boundaries,” as wild horses are confined to 11% of public land and 66% is open to domestic livestock. The image that says “they own the water rights” is actually a stock tank BLM fills as part of a water haul (a water right is again a permit that must be registered with the state. It appears Mr Borba never did his paperwork). One of the largest impacts to rangeland during drought is domestic livestock production. Instead of curtailing production in any manner that could effectively protect our rangelands we are seeing an increase in propaganda being perpetuated by the media. It is an absurdity that in one breath they claim there is enough forage on the range to sustain their profit making enterprise on public land with the very next one claim wild horses (that are allocated less than 18% of forage on only 11% of public land) are going to starve to death and destroy the range. There are multiple programs to assist livestock producers that face hardship due to drought (livestock producers even have a reimbursement program they can access if a predator kills one of their animals). At this juncture we should be seeing the federal government (Congress) amping up mandatory restrictions and prohibitions on livestock production on stressed rangeland. To ignore the greatest impact to wild land forage during this drought is simply dangerous political pandering. Wild horses and burros have been mismanaged with a lack of hard data to preserve and protect them as intended under law. To again make wild horses and burros (and wildlife) responsible for the debt being incurred to rangeland health by private enterprise is not acceptable. 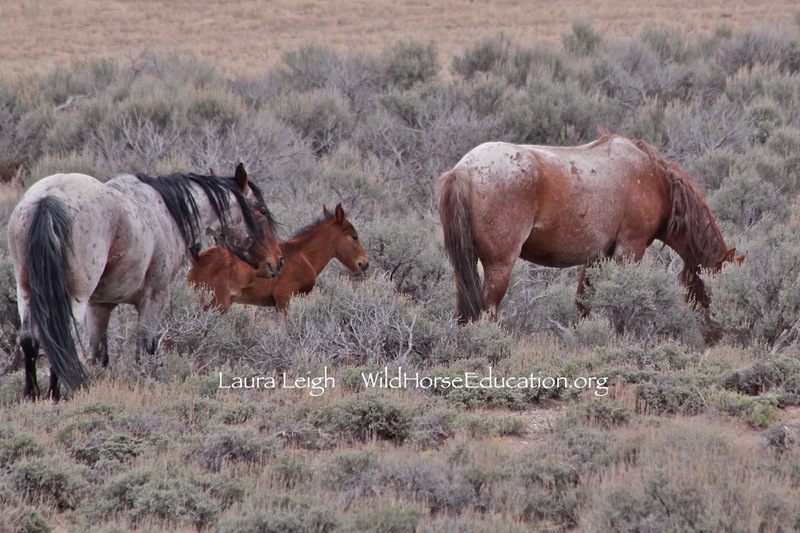 424 wild horses were captured at Fish Creek (the goal was 500 wild horses but foaling season began early, likely due to climatic influences as observed in multiple areas. In addition the two removals prior to Fish Creek went over target goals for removal and the number of horses already removed at Fish Creek would push numbers above target if operations continued). 3 wild horses died during operations (1 on the range from a broken leg that had healed incorrectly and 2 with poor body condition and evidence of liver failure, biopsy results are pending). 3 additional wild horses were euthanized that were to be returned to the range (each had an injury or condition that would have made release directly back to the range possible but shipment on a semi across the state into a holding facility a potential life threatening journey). 5 pregnant mares died at the Broken Arrow (Indian Lakes) facility after the ranchers and county filed litigation and the wild horses could not be immediately returned. 2 additional deaths occurred in horses slated for release. This brings the cost in life to over 5% of the wild horses slated to be released dying likely from additional stress of shipping, holding and delay of the release. 15 mares gave birth in holding instead of on the range creating additional stress and cost. The “on the range” portion of this plan was believed to begin with under 400 animals after foaling season ended. Taking into account the deaths, and final removal numbers that fit age criteria, the project begins (likely) with around 300 after foaling season. The cost in life is unknown at this time to mares giving birth on the range (with the death rate in holding we are actively seeking those answers on the range). Although currently “over AML” the plan gathers data to be utilized in other areas of process to address this equation and contains provisions for additional removals (if required) as temporary birth control applications are monitored for effectiveness in controlling herd size. The population numbers of Fish Creek also include a transitional population from other HMAs that are technically included in the “AML” of other areas including Seven Mile and Pancake (the proposed tracking mechanisms will address identification of this variable). Cost to the tax payer for the delay: $6335.00 per week just for holding fees alone, with a total just over $25,000.00. At this time transportation fees to the facility and back to the range are unknown. The rancher making public statements in the video, Kevin Borba, was found in trespass. The permit was issued to run cattle for 4 months and he ran them (in multiple fashions) all year. Please remember 2014 was a third year of drought and the current condition of the lowlands in Fish Creek are directly impacted by actions taken by this permittee. Intervention by a NV Senator helped negotiate a settlement on the initial finding of willful trespass. Yet the finding of “trespass” was made and stands. (Permittees should remember that they graze on public land and all decision documents are public record susceptible to public scrutiny). 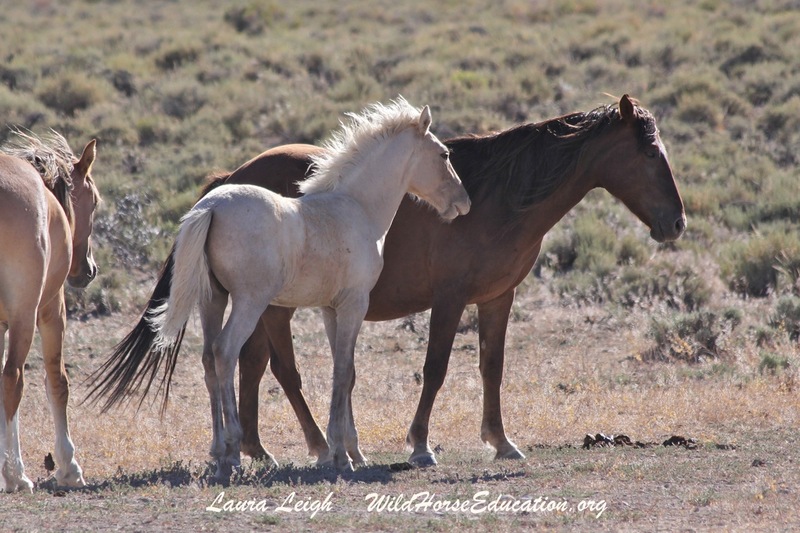 The IBLA ruled that BLM has the authority to return wild horses to the range under the current decision record. The ranchers listed in the case were removed by the court on “standing.” However the IBLA has allowed the county to carry the action forward. As “Intervenors” in the case we have another long road ahead to protect the integrity of the ten year plan.